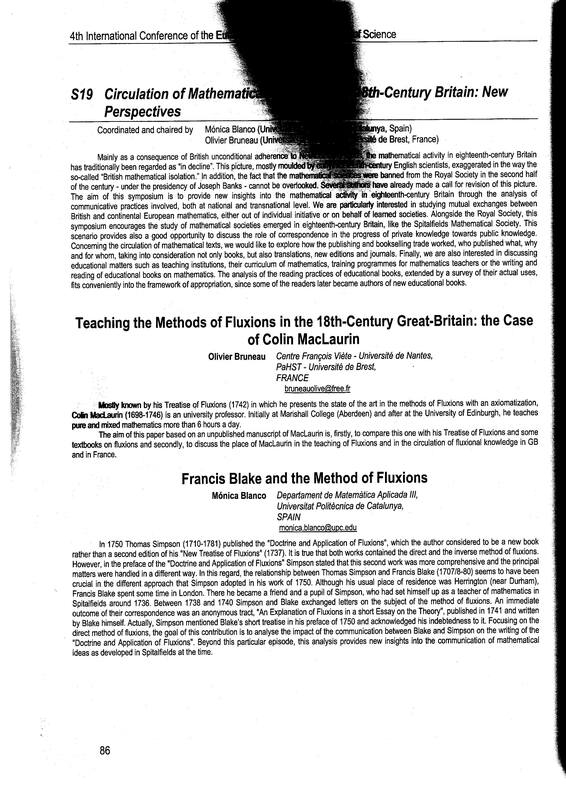 Blanco, M. Francis Blake and the method of fluxions. A: International Conference of the European Society for the History of Science. "4th International Conference of the European Society for the History of Science". Barcelona: 2010, p. 86.